The Apostle General of the Royal House Chapel Rev. Sam Korankye Ankrah has responded to the numerous insults rained on him by the General Overseer of the International Godsway Ministries Bishop Daniel Obinim over comments he made in a radio interview. Preaching at his church on Sunday March 6 2016, he told the congregation that he will not dignify the avalanche of insults unfurled at him by Bishop Obinim, with an express response, since, according to him, there were already people speaking in his [Korankye Ankrah’s] defence. “This morning, as I was coming, somebody met me at the gate. She said: ‘Apostle-General, oh I’m sorry Oh, it was not easy on Television at all, the insults!’ So, I asked her: ‘How did you go and tune in to that nonsense?’ I said to her: ‘This morning, you need to go to the altar for deliverancebecause you have been polluted.’ Then I said to her: ‘My ears are only for good news.’ There’s somebody, who doesn’t come to Royal House Chapel, if you read [on] the social media, they replied all our accusers. 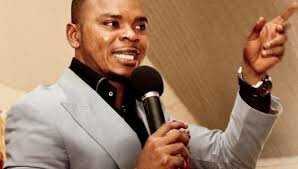 The General Overseer of the International Godsway Ministries Bishop Daniel Obinim it would be recalled launched a scathing attack at Rev. Sam Korankye Ankrah for claiming some of his “spiritual prowess” is pure magic. The controversial man of God claims he can metamorphose into a snake or a dog in the spiritual realm, a claim Rev. 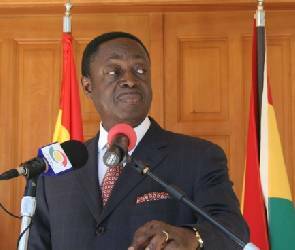 Ankrah described as ‘sad’ and pure ‘magic’ which has brought the name of God into disrepute. Angered by the comments, Bishop Obinim has responded to Rev. Sam Korankye Ankrah and challenged him to contest his powers, adding the he didn’t know Korankye Ankrah was such a fool. He used very unprintable words on Rev. Sam Korankye Ankrah while being urged on by his subordinates who also rained insults on the man of God over his comments. The General Overseer of the International Godsway Ministries in recent times dominated discussions on social media after avideo of him went viral, boasting he once transformed into a snake with Jesus by his side who also transformed into a lion. Rev. Ankrah stated: “And people are making fun and I feel ashamed and the question is who is bringing the preacher [Obinim] to book. Who is ensuring before you mount the pulpit you are qualified and licensed to do that. However, he added that he and other men of God are “willing” to help Obinim to keep to his tracks. Bishop Daniel Obinim has however taken an exception to his comments threatening to wage a spiritual war against Rev. Sam Korankye Ankrah and his congregation.